Without a doubt my favorite is Happy, but I love all their fabric lines. I love the Shades of Black collection the most! I Follow All on Pinterest. I have been collecting black and white prints and when shades of black came out it was a happy time for sure. My favorite collection from Me and My Sister is definitely Ticklish. I already follow your blog with GFC. I follow you on Twitter. @NYgirlscout. I already like you on FB and left a comment on your FB page. Happy is definitely my favorite of all. I'm already a follow of yours. Ticklish AND shades of black are my favorites! My favorite Me & My Sister fabric line is Happy. Thanks. I'm already liking you on FB. Thanks. I'm already subscribed to your newsletter. Thanks again. The Giggles collection is adorable! Thanks for the giveaway! Fell in love with Shades of Black!!! Oh so yummy!!!! Thank you for the opportunity to win a piece of this fabulous giveaway!!! I liked Ticklish a lot, but really it's hard to choose just one favorite. Hands down my favorite is Shades of Black! thanks! I made my first quilt from "Twirl". Love that quilt! I am using "Amelia" on another and like that one as well. I seem to like all they come out with, they are beautiful fabrics. Amelia- made two quilts with this pattern for twin girls.I love the brightness...made me smile while I was sewing. I follow 1 choice 4 quiltings blog! I get the newsletter! thank you!! My favorite line is Happy! Oh Wow! This is an awesome giveaway!! I'd have to say that Ticklish and Giggles is my favorite at the moment!! Thnaks for the chance! I am a follower via Bloglovin' - thanks for an extra chance at this sweet giveaway!! My favorite is Dilly Dally, which I better stop doing and get back to work! I like Ticklish. The names of their groups are such fun. I also love the Shades of Black collection. I like Ticklish best, but they're all awesome! Right now, Giggles is my favorite-but! I haven't seen Shades of Black yet, it may change when I see that one. LOL Thanks so much for the giveaway! I follow your blog too. Happy Friday! I am also getting your newsletters - love to keep on top of everything!! Thanks! What is your favorite Me and My Sister Design Collection? I'm going to have to say Amelia. I love the bright blues! I am signed up for your newsletter and started following your blog here. My favorite collection is Ticklish. I get your newsletter regularly. love Shades of Black:) and Ticklish - oh heck - love them sisters. I love shades of black the most! So many ideas of what to do with that! HI MY FAVORITE IS "TICKLISH"! ALREADY LIKE YOUR PAGE ON FB! Favorite is black and white jelly roll because you could incorporate one strong solid and have a quilt that pops! Or you can keep it black and white and have a classic looking quilt, it is so versatile! Following on Pinterest. The Shades of Black would be great! I like Ticklish. Thanks for the giveaway. 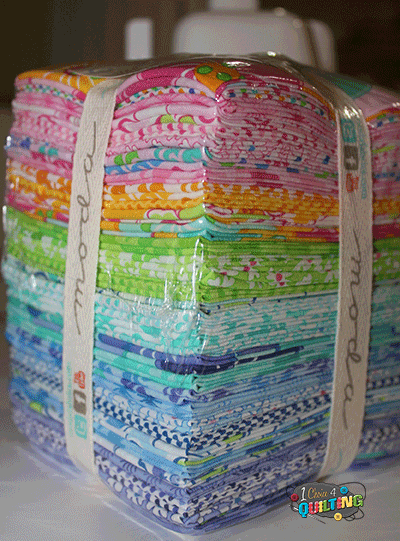 I think Giggles - simply because it would make a great quilt for my neice! I like Shades of Black. I want to make a black and white quilt sometime. I get your newsletter. Thanks for the giveaway. Love Shades of Black! Thanks for the chance to win!! Amelia has been a favorite for looong time...then Ticklish came out...and your Giggles will be out soon....what can I say....am Addicted to your fabrics!! They are always Happy & Fun!!! & am lovin' the name Giggles for your new collection!!! I love the colors in Amelia. My fav is the Shades of Black collection. I love black and white (and gray) prints. I am loving the shades of black! I am a follower! ThNks! HAPPY has always been & still is my favorite Me & My Sisters fabric although Giggles may change that! Thanks for the chance to win some. I follow the 1 Choice for Quilting blog. Great giveaway - thanks for the chance. My favourite is Ticklish - I love the bright colours. I like their Ticklish fabric line. I'm subscribed to your email newsletter. My favorite collection has to be Ticklish! I think it's Ticklish, although it's not an easy decision. I do love the new one but it has to be Ticklish! I like the Giggle line also. I am also signed up for your newsletter. I'm loving Shades of Black! Fabulous! Amelia, I made quilts for all my grand daughters with it!